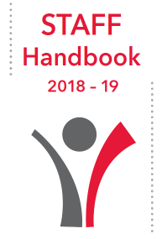 The new Staff Handbook was designed to provide current and prospective employees with general information about MSU along with an introduction to policies and procedures. The handbook is not intended to create, nor be interpreted as creating, a contract between MSU and any of its employees. Policies and procedures are subject to change at any time at the sole discretion of MSU. MSU will make every effort to update employees as changes take place. It is every employee's responsibility to access this information and comply with such changes.